It was chilling winter evening and the family was ready for dinner time at a neighboring fine dine restaurant, that’s where a comment came in from a cousin in jest – “Reena, control before you blow up, you have crossed 70 kgs this year” and my young sister started crying. 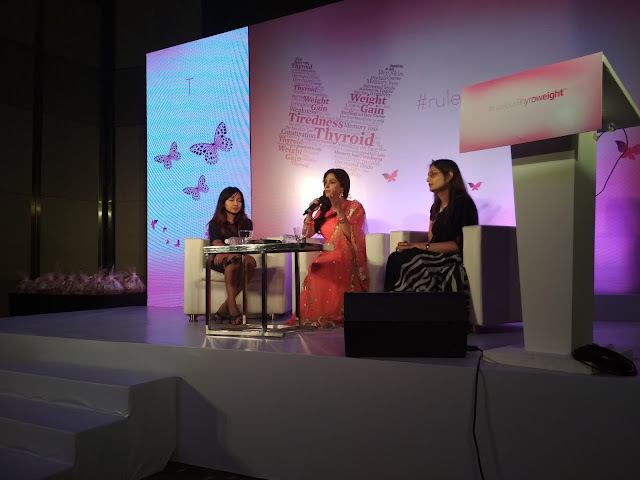 She had tried everything from diet to exercise but to no avail and just a week earlier; after a simple blood test, we get to know that she is suffering from Hypothyroidism.It was my participation at a bloggers meet last week – an event on thyroid awareness, that I got some interesting insights on Thyroid disorders and there started my journey to #RuleoutThyroweight from the list of disorders in my family and friends’lives. Hypothyroidism is common but under diagnosed disorder because of its non-specific clinical presentation. Thyroweight is the most common symptom of thyroid disorder which is weight gain, Fatigue, tiredness and lethargy. All of these which were visible in my sisters case but took time to recognize these as thyroid symptoms. Untreated hypothyroidism may lead to serious cardiovascular and neurological complications. One must look for early diagnosis and treatment of the disorder. Surprisingly, as per a recent report, every third Indian suffers from a Thyroid disorder and one in 10 suffer from hypothyroidism but few among them are aware about it. In-fact less than 25% of those suffering are diagnosed with Hypothyroidism. Among the symptoms mentioned above, the most important is unexplained weight issues and fatigue which goes unnoticed largely due to the mindset that it’s a normal phenomenon. In-fact a Small weight gain, lethargy, and other symptoms, are generally ignored at the patient’s front and does not even become an interaction topic between the doctor and the patient. However, it’s imperative for the individual to address the ‘small’ weight gain for their own good. 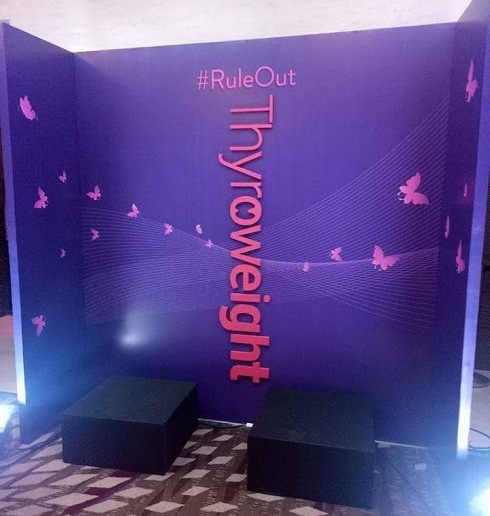 The thyroid awareness event - #RuleOutThyroweight was very informative lead by Dr. Shehla Shaikh who said "Health is wealth" - A healthy woman is the base of a healthy family. Gorgeous Diva Juhi Chawla was also present at the event to support the cause. 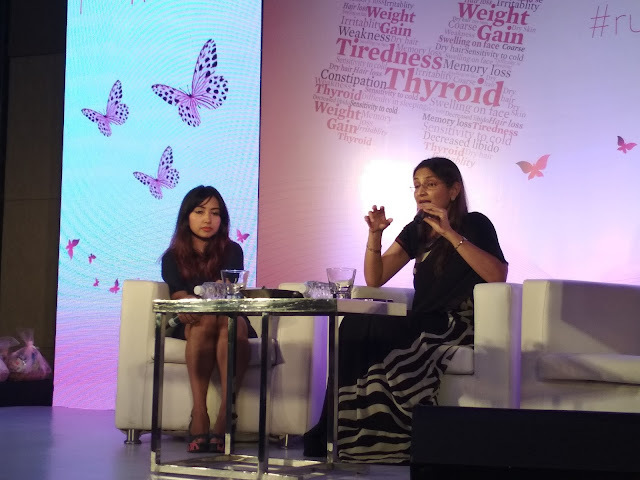 She inspired us all with her insights and said, "Life can be as normal and superb with a small pill" - which any individual can very easily take to control Thyroid disorder. She proudly informed us all that even she had family members and friends – including her husband – who have overcome the disorder and are leading a very normal life with timely detection of thyroid disorder . It only took a simple but regular small pill intake. I must add here that Reena my younger sister has fully overcome her disorder and is leading a happy married life. However, as they say prevention is better than cure, get your thyroid tested regularly and #RuleOutThyroweight Says JuhiChawla. 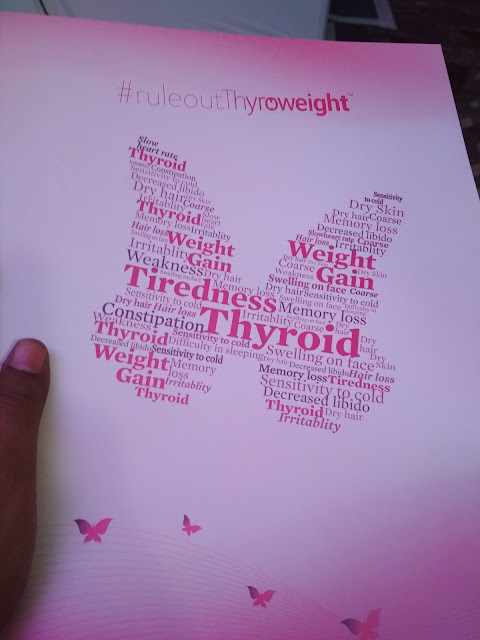 For more details, visit http://thyroidindia.com/thyroweight/ and with a little bit of precaution, stay healthy, wealthy and wise.